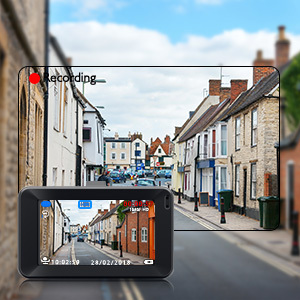 WIDE ANGLE LENS & 1080P CAR RECORDER: Never miss a license plate in Super HD 1920x1080P, 170°wide angle lens allows a larger viewing angle to be recorded. 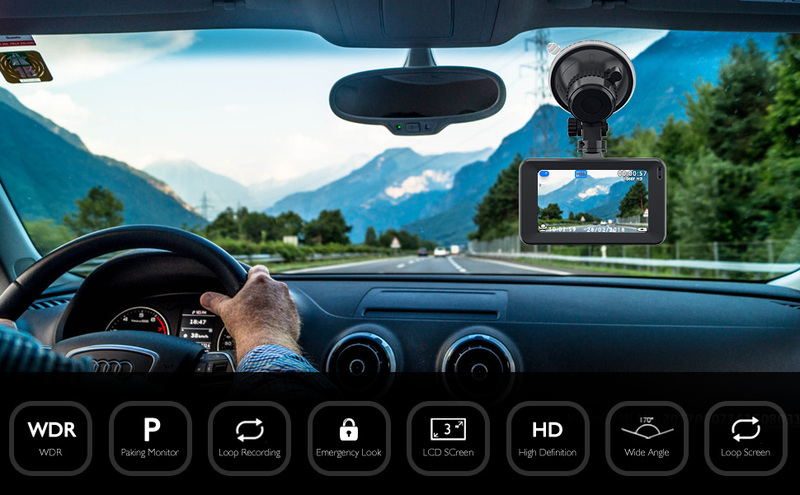 3 INCH LARGE LCD SCREEN CAR CAMERA: Super large screen shows the realtime image, combined with 1080P Full HD video, provides a clear video when playing back and brings better visual experience. 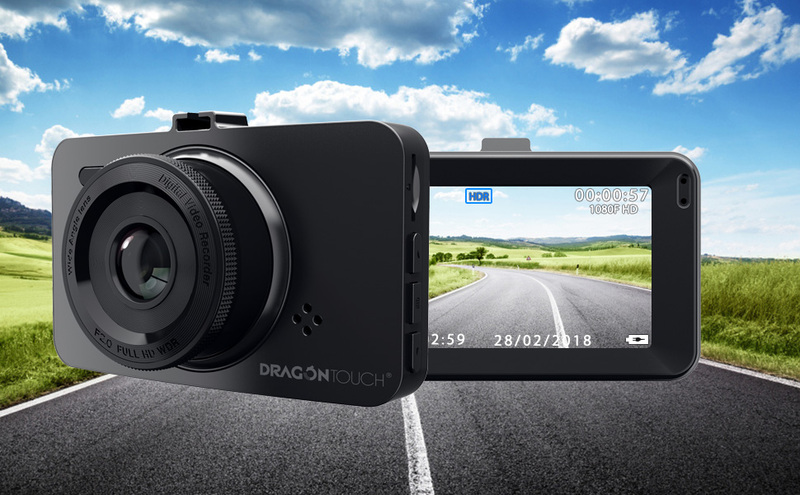 WDR TECHNOLOGY DASH CAMERA: Wide dynamic range (WDR) technology compensates for light/dark spots and balances exposure. 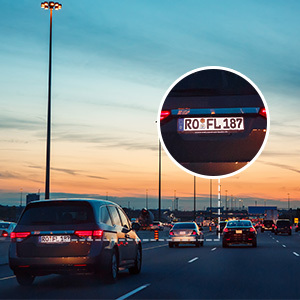 Automatic low light compensation for superior video quality you need whilst driving at night. 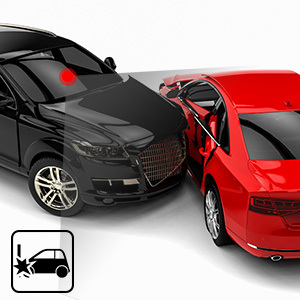 G-SENSOR for EMERGENCY VIDEOS: G-sensor detects collisions and captures footage for up to 30s; 180mAh built-in battery allows for G-senor activated recordings in parking mode. LOOP RECORDING: 24 Hours Loop Recording creates video clips, automatically overwrites the oldest file to save the current file. 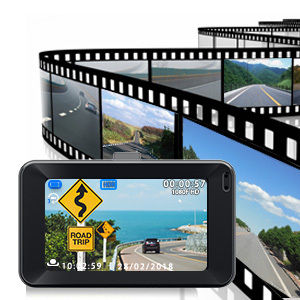 - With 1080P resolution and 30fps video recording to get clearer and smooth image. 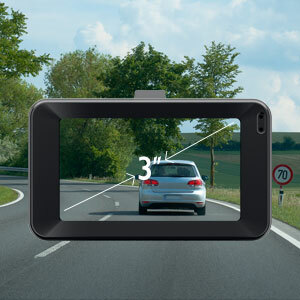 - The high transparent 3 inch LCD widescreen offers a broader view which enables you to monitor the whole road while driving. - Wide dynamic range (WDR) technology ensure strong performance when driving at night. - Seamless Loop Recording overwrites the oldest footage with the newest upon filling a card to capacity. - Variable sensitivity G-sensor auto detects a sudden shake/collision and emergency locks the footage to "Event File" to prevent that video from an overwrite. 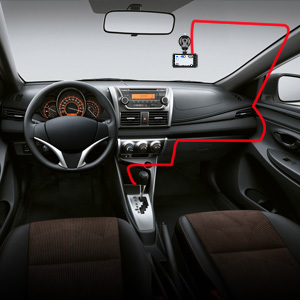 - Easily and securely mount to your windshield in seconds with the included suction cup.